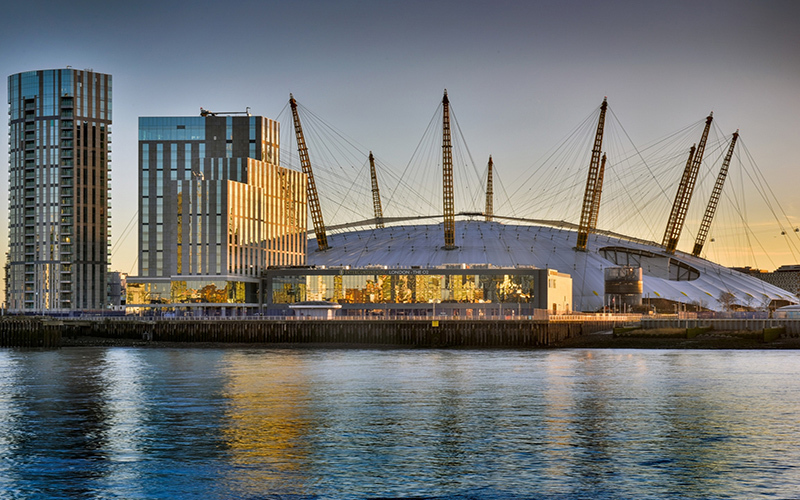 With Canary Wharf as a back drop and the O2 dome looming into your vision, the InterContinental London at the O2 might not seem like your first choice to escape the city and enter a world of bliss, but we can assure you it does the trick. Setting foot inside InterContinental the first thing you notice is the size, it’s huge. It’s also slick, clean and minimal. 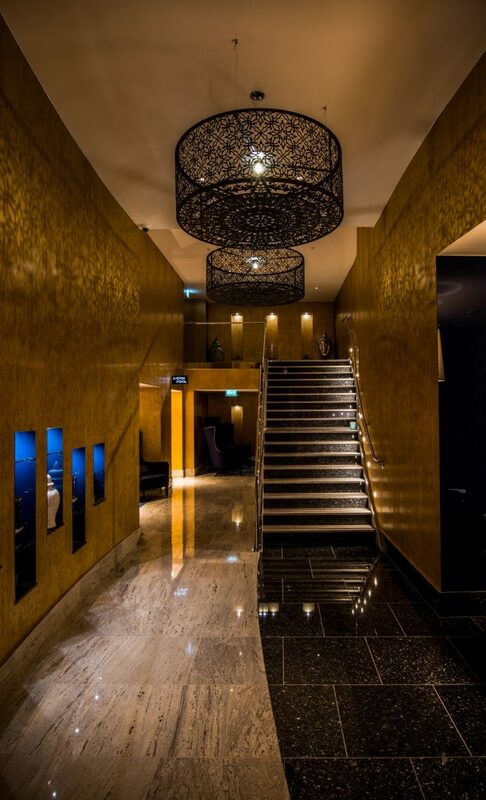 The spa has a luxurious feel with gold gilt, blue pearl granite and polished surfaces. 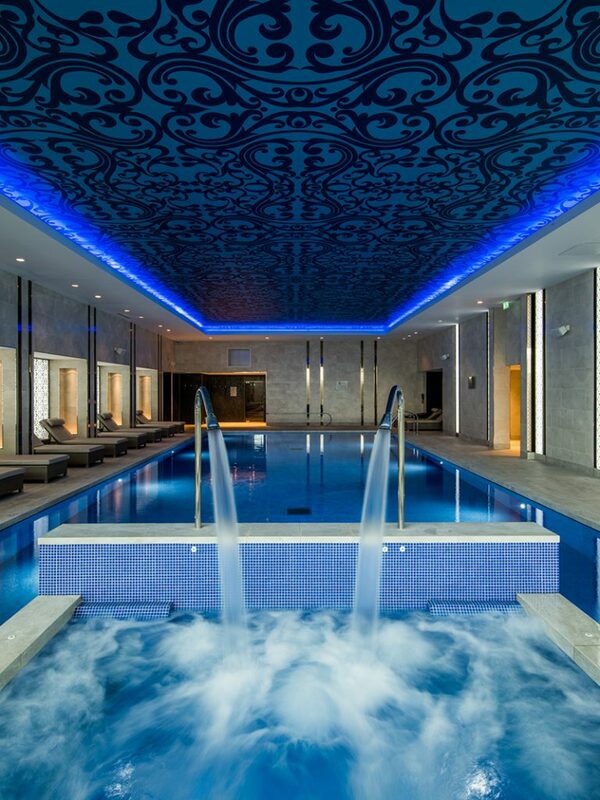 Inside you have a 17-metre swimming pool, sauna, steam room, gym and eight treatment rooms. 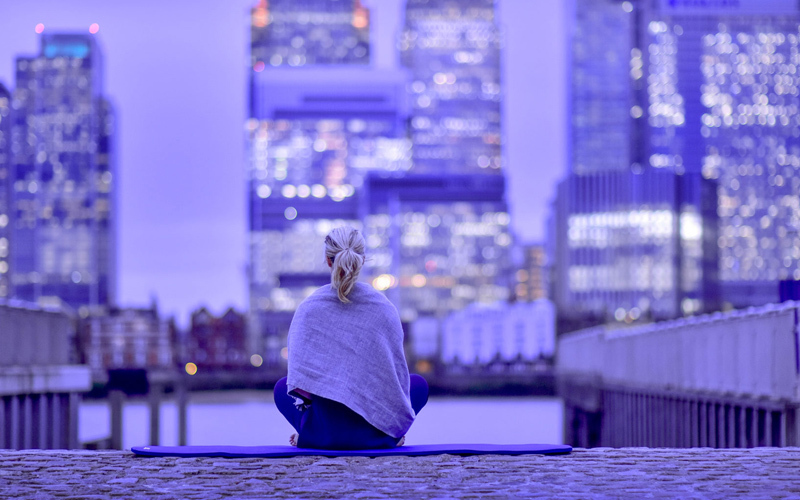 Their signature treatment, the Meridian Time Ritual, lasts 105 minutes and is designed to empower the body’s natural healing process. It begins with a light body brush over your arms and legs, which aids blood flow in order for the products to be more easily absorbed into the skin, soothing the muscles. From here, your whole body is covered in a marine mask wrap to nourish the skin. You get cocooned in foil and wrapped up snug as a bug, like a metallic caterpillar, as a warm sensation washes over your body; it’s amazing. Whilst you lay there hoping not to get an itchy nose, it’s time for a heavenly 20 minute scalp massage. This was probably our favourite bit and all we could think was ‘please don’t end, please don’t end’. You also get a fully personalised facial with ESPA products. Deeply relaxing, it involves cleansing, exfoliation, steam and extraction (if needed) along with a massage and mask. And you get an instant visible result; our skin was feeling and looking more hydrated and brighter. After 105 amazing minutes, we felt brilliant, a little sleepy but very calm and relaxed, and we then had the pool, sauna and steam room to go. A pretty perfect spa day if you ask us.